InfoComm International's Awards Committee has voted to rename the InfoComm Distinguished Achievement Award in memory of Mackey Barron. The award will now be known as the Mackey Barron Distinguished Achievement Award, and it is the highest honor bestowed on an industry member by the association. 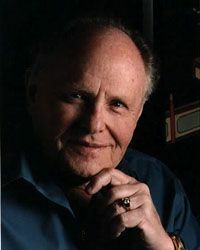 Barron was the founder of HB Communications and was involved with InfoComm and its predecessor organizations dating to 1947. At one point he attended 58 straight InfoComm trade shows, stretching back to before they were called InfoComm. Barron served on the association's Board of Governors and received the Distinguished Achievement Award in 1998. "When the Awards Committee considers honoring a member with the Distinguished Achievement Award, two major criteria are applied - the career accomplishments of an individual, and the individual's contribution to the AV industry," said David Labuskes, CTS, RCDD, executive director and CEO at InfoComm International. "Mackey Barron is a reflection of the criteria used to select recipients of this award. By recognizing him we honor his commitment to and passion for the industry and the individuals whom, like him, make AV not only a profession but a way of life." The 2016 Mackey Barron Distinguished Achievement Award will be presented at InfoComm 2016 in Las Vegas. Nominations for InfoComm's awards will open December 1, 2015.